It’s easy to draw several similarities between this year’s Yelm High School fastpitch team and mythology. 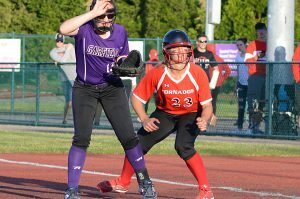 For starters there’s the Tornados’ bats, which have already displayed some Herculean efforts during the early stages of the season, beginning with a 33-1 drubbing of Tumwater. They followed up that performance with equally impressive offensive numbers against Central Kitsap (14-3), Ellensburg (17-5), North Thurston (19-0), and Shelton (11-0). Then there’s the Hydra, a monstrous serpent who if you were to cut off its head two more would grow back in its place, making it almost unbeatable in battle. If you’re looking for the 3A South Sound Conference’s equivalent to this legendary creature, turn your attention to Yelm’s pitching staff. For four years Drea Schwaier terrorized opposing batters, overwhelming them en route to being named last year’s conference MVP. 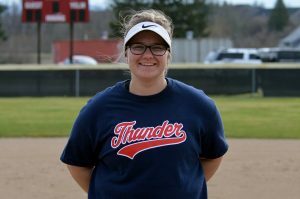 Schwaier, who has since graduated and moved on to Whitworth University, exits the program and what do the Tornados do? 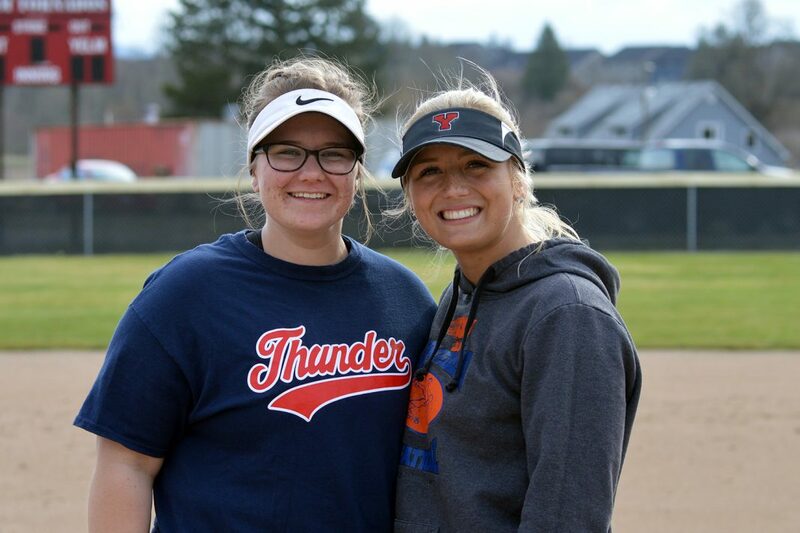 They send senior Tayelyn Cutler, a first-team all-conference selection last year and Hailey Brown, a second-team pick in 2018, out to the mound. One outstanding pitcher leaves, two more slide right in. However, unlike the armless Hydra, Cutler and Brown can both hit as well as pitch, leaving little doubt as to why Yelm is projected to claim its third straight conference championship. Since the formation of the SSC two years ago, the Tornados have been the resident juggernaut. Yelm, which has posted back-to-back perfect 14-0 conference records the past two years, has won a remarkable 31 consecutive conference games over the last three years and don’t appear to be slowing down anytime soon. While Schwaier was the squad’s No. 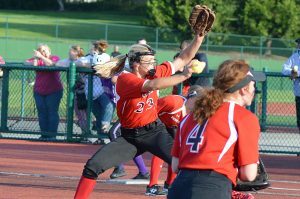 1 pitcher last year, helping the Tornados finish third at the state tournament, Cutler and Brown were hardly relegated to the shadows. Cutler was as dominant as any other pitcher around, striking out 150 batters with a microscopic ERA of 0.80. She also abused her counterparts whenever she stepped up to the plate, posting a .441 batting average with a team-high 40 RBI and nine homeruns. The same can be said about Brown, who splits time with Cutler at first base when she’s not on the mound. It’s an ego-free pitching staff and it’s been that way since both arrived at the high school. Both Cutler and Brown wasted little time picking up right where they left off last year. In the season-opening triumph over Tumwater, Cutler fanned nine batters in just 3 2/3 innings of work, while Brown did plenty of damage with her bat, hitting a home run and driving in 6 runs. 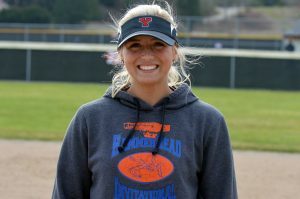 Cutler posted a season-high 14 strikeouts against North Thurston as Yelm’s pitchers threw a combined no hitter against the Rams. She also registered 11 Ks and finished with 3 RBI in an 8-6 setback to undefeated Stadium, a team the Tornados blanked, 4-0, at last year’s state tournament. Cutler is quick to credit Brown with helping her become the deadly hitter she is. Brown’s best outing so far came in a non-conference game against Bethel when she threw 6 2/3 hitless innings and struck out 6 as Yelm defeated the Braves, 2-1, in 8 innings.